Thomas Holder is an Eyewitness News multimedia producer based in Johannesburg. After calling 16 witnesses to testify in the Honeymoon Murder Trial, the prosecution has closed its case. National Assembly Speaker Baleka Mbete gives her view on the chaos which erupted in Parliament on 13 November 2014 during a media briefing. National Assembly Speaker Baleka Mbete took aim at the media during a press briefing held on 14 November 2014 to discuss the chaos which erupted at Parliament the previous day. SAPS in the spotlight as investigating officer Captain Paul Hendrikse testifies. 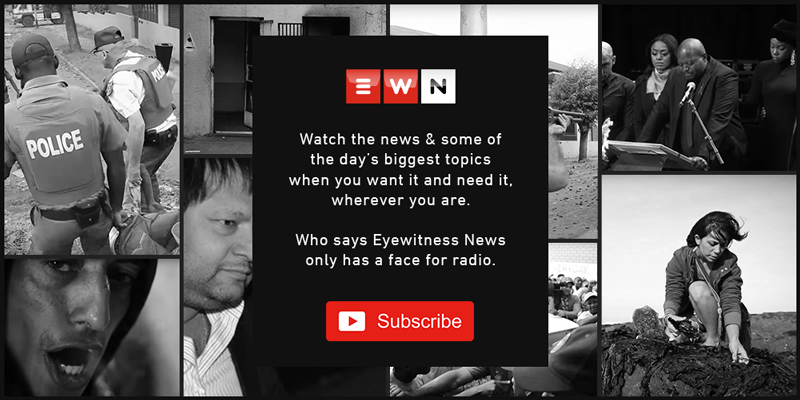 Justin Langley’s mother Brigitte spoke to EWN about how she tried to protect her son before he was brutally murdered by a group of men in Uitsig on 9 November. Monde Mbolombo, the man regarded as the middleman in the alleged plot to kill Anni Hindocha Dewani, is the state's latest witness in its case against Shrien Dewani. The defence team may call one of Zola Tongo's inmates to testify that he had pinned the entire crime on Dewani. Gideon 'Juggernaut' Drotschie says he's ready to defend his light-heavyweight title against Norman Wessels on 6 November 2014. Zola Tongo has testified in the Western Cape High Court that he trusted Shrien Dewani would follow through on his word regarding payment for the alleged contract killing. Picture: EPA. Convicted "honeymoon killer" Xolile Mngeni is laid to rest in Khayelitsha. Advocate Francois van Zyl pokes holes in Zola Tongo's testimony during his fourth day on the stand. EWN's Rahima Essop reports. A number of MyCiti bus drivers have embarked on a wildcat strike which turned violent yesterday in the Du Noon area. EWN's Thomas Holder reports. Ajax Cape Town coach, Roger de Sa has revealed the depth of his distress, following the murder of goalie Senzo Meyiwa. Currie Cup Champions Western Province took a tour of Cape Town to celebrate their victory. #FeelGoodFriday: Be amazed at what your body can do! Meet a reformed chubby guy, who now boasts the body of Adonis, and moves in the most astounding ways. He used to be chubby, now he's ripped. How he achieved it might just surprise you.